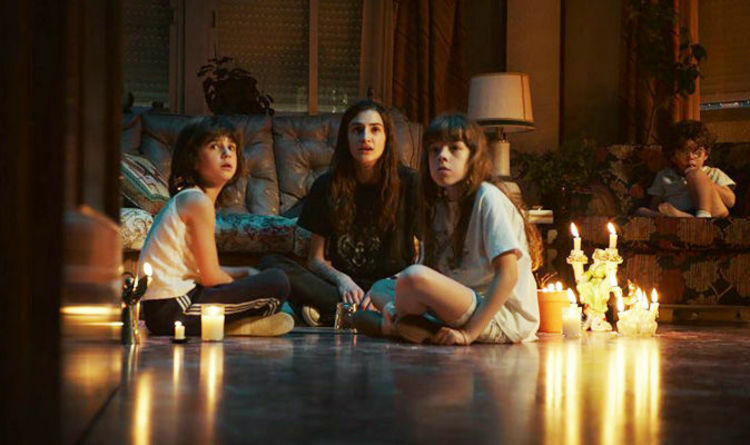 The Netflix movie has been called Spain's answer to The Conjuring and has caused a social media storm. Early viewers claimed it was too frightening to watch all the way to the end. Based on a horrifying true story, the 'Vellecas case', and the disturbing police investigation afterwards, the movie has become an instant sensation after its worldwide release on the straming platform. Director Paco Plaza talked supernatural scares, real-life experinces and what lies behind things that go bump in the night. Plaza explained the reason why he choose to set the main events of the movie during an eclpse. He told El Mundo: "Eclipses have always been seen as magic events. Most notably among the Mayans. Eclipses are the moments when darkness rules the world… The eclipse for me, in one way, symbolises the moment that infancy or innocence passes, when something puts itself in your path and you can longer see things so clearly or simply." The Vellecas case which Plaza mentioned took place in 1991; when a young girl died shortly after playing with Ouija boards, apparently then terrifying her parents with a chain of supernatural events around her childhood house. VERONICA: ARE THESE THE THREE SCARIEST SCENES? The director confessed he has firm beliefs about what lies beyond our undertsanding of the world. He added: "I think we all live with paranormal things… If we are talking about things like ouija boards, yes i have taken my own small first steps. "I think that all the things we regards as inexplicable, we are just not viewing in the right way. Mysteries exist until we find the light to explain them… I think the realm of the unexplained is just a question of time. One day it will be explained."